EverDisplay (EDO), whose main force is mobile AMOLED, is accelerating its wearable market target. 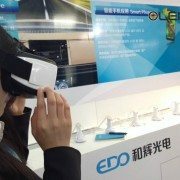 In CES Asia 2016 (11-13 May) held in Shanghai, China, EDO presented VR (virtual reality) device equipped with their own AMOLED and revealed their roadmap in this market. The company displayed the VR device at the exhibition booth allowing the visitors to experience it. 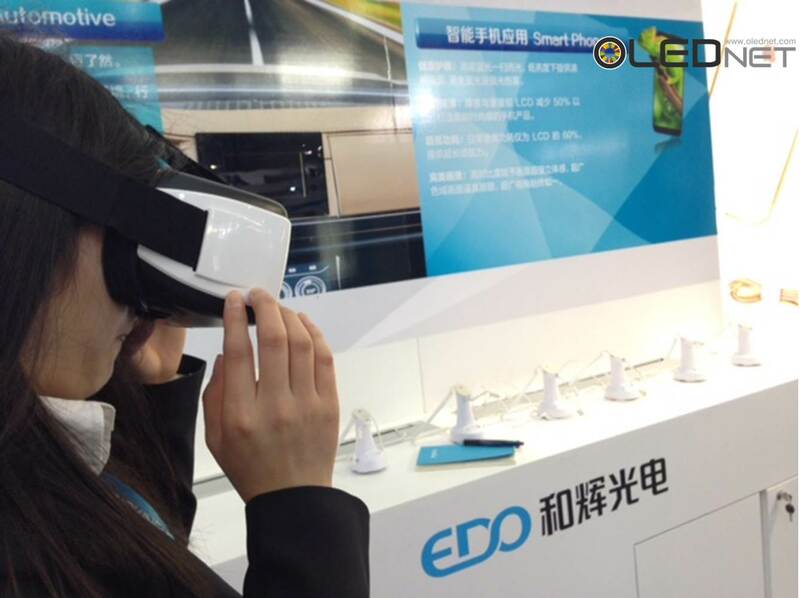 EDO explained that the device is a beta version, and although it has not been released, the picture quality is superior compared to LCD or LED equipped VR. According to EDO, the company is planning to produce 3.2 inch 1K 400 ppi AMOLED for VR this year, and 3.5 inch 1.5K 600 ppi panel in 2017. 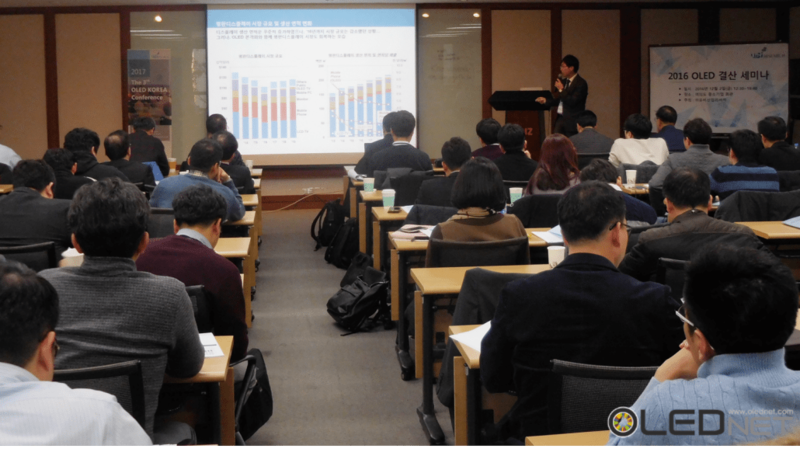 Following this, the panel is to be improved to 2K 750 ppi in 2018, and EDO is planning produce flexible based 800 ppi panel in 2019. EDO also revealed new AMOLED product in smartphone sector. In this exhibition, EDO showed 5.5 inch FHD panel that is already being mass produced, and flexible 6 inch panel to be mass produced in future. Furthermore, the company exhibited new AMOLED panel in 3 types, 1.2 inch, 1.4 inch, and 1.41 inch, for smartwatch that will be consecutively launched from July. Of these, the 1.2 inch panel is expected to be used for Huawei’s smartwatch for women to be released in September. CES Asia 2016’s participants greatly increased compared to last year, and 375 companies from 23 countries are taking part. Major companies such as Intel, Twitter, and BMW discuss wearable, VR, driverless cars, future of TV, etc. though conference. Huawei is expected to release 1.2 inch AMOLED panel equipped smartwatch for women in September if early. In CES Asia 2016 (11-13 May) held in Shanghai, China, Everdisplay (EDO) revealed that the 1.2 inch AMOLED panel product will be released in July, and Huawei will launch smartwatch for women equipped with this panel in September. Previously Huawei released smartwatch for men equipped with EDO’s 1.4 inch AMOLED. EDO, whose main focus is on AMOLED panel for mobile device, showed new AMOLED panels through this exhibition. EDO explained that of AMOLED panels for smartphone, 1.2 inch, 1.41 inch, and 1.4 inch panels are not yet released, and that 1.2 inch panel will be launched in July and 1.4 inch in 2017. During this event, EDO also revealed 6 inch AMOLED panel to be mass produced in future and beta version of VR device equipped with their own AMOLED.